"Moving Forward with Laterals: The case of the five W's and an H." an article written by TIAG President Robert U. Sattin, is published in CCH's May issue of CPA Practice Management Forum. In the article, Mr. Sattin discusses how to improve the chances of a lateral hire's success. CCH (cch.com) provides leading tax and business law information and software solutions. CCH products track, report, explain and analyze tax and related law in over approximately 700 publications in print and electronic form for tax, accounting, legal, human resources, banking, securities, insurance, government and health care professionals. TAGLaw®, the sister alliance of TIAG® (The International Accounting Group), has been recognized as an "Elite" network in the Chambers Global 2013 rankings guide for legal networks. TAGLaw is one of more than 30 global legal networks, but one of only six to receive the highest ranking of "Elite" in Chambers Global. TIAG and TAGLaw combine to provide professional accounting, financial and legal services on a worldwide scale. With approximately 12,500 professionals in over 260 member firms, and more than 450 offices in over 90 countries, they serve clients ranging from the Fortune 1000 to local businesses. In 2012, Accountancy Age ranked TIAG, in combination with TAGLaw, as one of the three largest alliances of accountants in the world. TIAG (The International Accounting Group) and TAGLaw are alliances of high quality, independent law firms and accounting firms.Â Combined, the two alliances provide professional accounting, financial and legal services on a worldwide scale. With approximately 12,500 professionals in over 260 member firms, and more than 450 offices in over 90 countries, the two alliances serve tens of thousands of clients from all industry and commercial sectors. For more information about TIAG, visit www.TIAGnet.com or more information on TAGLaw, visit www.TAGLaw.com. Since 1999, Chambers and Partners has researched the legal markets of over 180 countries, identifying the leading lawyers, law firms and networks worldwide through interviews with thousands of lawyers and their clients. Chambers prestigious reputation is based on the independence and objectivity of our research. 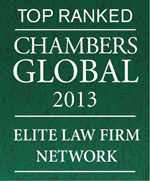 For more information on Chambers Global visit, www.chambersandpartners.com/global. The International Accounting Group (TIAGÂ®) conducted its 19th international conference in Brussels for its members on October 22-24, 2012. Vincent Van Dessel, the CEO of NYSE Euronext Brussels, delivered a talk on the future of public markets as a vehicle of financing for small and mid-sized enterprises. TAGLawÂ®, TIAG's sister alliance of independent law firms, held its 27th international conference in parallel, and the two alliances conducted joint sessions on the third day of the conference. TIAGÂ® and TAGLawÂ®, two worldwide alliances of independent accounting and law firms, announced they were contributing over $30,000USD to the victims and to relief efforts of Hurricane Sandy, which devastated the New York and New Jersey coasts in late October. The organizations are doing so through their charitable organization, TAG Foundation. St. Petersburg, FL, USA (April 27, 2012): The International Accounting Group (TIAG) will host its 17th international conference in San Francisco for its members on May 7-9, 2012. Among the topics will be a panel discussion titled Fraud Protection and Detection. Experts from the United States Federal Bureau of Investigation (FBI), TIAG accounting firms and a lawyer from TIAG's sister legal alliance,TAGLawÂ®, will discuss experiences they have had in how businesses can prevent fraud and how, after the fact, they can recover funds wrongfully taken. TAGLaw, TIAG's sister alliance of independent law firms, will be holding its 27th international conference in parallel at The Four Seasons Hotel, and the two alliances will hold joint sessions on the third day of conference.